With so many online bookmakers offering live streaming football, now you can conveniently watch live football right alongside the latest Live In-Play prices. Most bookmakers only require you register an account, while some require a positive balance. Open a new account at any of our bookmakers through a link on this page and start watching live streaming today for FREE. Go to Bet365.com and register an account . A window will open with all the LIVE STREAMS available. 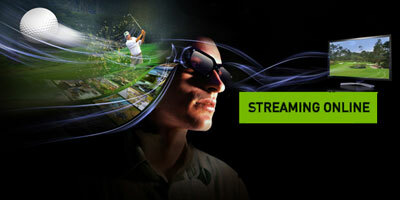 Select a match and start watching for FREE - no bet is required! Simply login to your account – no deposits or wagering are required. Ladbrokes TV is currently available for free to UK customers who have logged in and placed a bet. Almost all live streamed events featured on Betfair are free for Betfair customers who are registered and maintain a positive balance in their account. However, for horse racing, the tennis Grand Slam tournament and the Australian Open, Betfair requires their customers to have a pending wager on the corresponding race or match they wish to view. Go to Bet-at-home.com and register an account . Login to your account and go to the LIVE STREAMING section Bet-at-home TV is free for all Bet-at-home account holders who have a positive balance in their account. Must be logged in to watch. Go to WilliamHill.com and register an account . Login to your account and go to the LIVE STREAMING section. WHTV is free for all William Hill account holders who have a positive balance in their account. Must be logged in to watch.